They’ve been around since the early 70s, but for many—the public and brokers alike—Mortgage Investment Corporations remain relatively unknown. But work is underway to change that. There’s no denying Mortgage Investment Corporations, or MICs, have come a long way since their inception by the federal government in 1973 through the Residential Mortgage Financing Act. And thanks to new government regulations that are making it harder for borrowers to qualify at federally regulated lenders, they are more relevant than ever. They were first introduced to make it easier for small investors to invest in the mortgage and real estate markets. Money is pooled by shareholders and then lent out in the form of residential and commercial mortgages, with all of the net profits then distributed back to the investors. For example, there are some that strictly underwrite conventional first mortgages, some that underwrite slightly riskier second mortgages, and others that underwrite the full spectrum of mortgages: firsts, seconds, land development, construction, mezzanine financing, etc. MIC lending has seen significant growth over the years, rising by 13% from October 2015 to January 2017, according to the latest data available from the Canada Mortgage and Housing Corporation. That’s nearly twice the rate of total residential lending over the same period. The CMHC research estimated there are as many as 200 to 300 MICs operating across the country, but that the value of MIC mortgage credit outstanding was still less than 1% of total mortgage credit outstanding in Canada (as of 2015). But recent regulatory changes have helped to accelerate that growth. MICs have become the first choice for many borrowers who can’t secure financing through a federally regulated bank or monoline lender because they fail to pass the government’s new stress test. Because MICs aren’t federally regulated, they’re not required to apply the stress test to their mortgage deals. 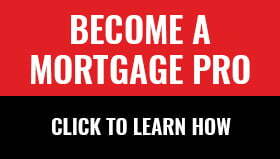 As a result, large brokerages like Mortgage Architects are now sending greater volumes of deals to MICs and other private lenders, says Dong Lee, President of Mortgage Architects and Director for Ontario on Mortgage Professionals Canada’s board of directors. Ms. Soloway added that growth had been building for years earlier, but culminated this year with the introduction of the stress test. With more deals flowing to MICs comes the need for greater education amongst the brokers sending those deals. Ms. Soloway says she was moderating a panel discussion about MICs a year ago and fielded some surprising questions from several mortgage brokers in the audience. One asked why MICs only served the Greater Toronto Area (they don’t), while another asked why they don’t amortize mortgages (some do and some don’t). That’s when Ms. Soloway said she realized the need to better inform the broker community about MICs, their products and processes. Fast-forward to today, and ONMICA has partnered with Mortgage Professionals Canada to offer the first-ever MIC seminar and trade show, taking place on October 3 in Brampton. The event will bring together mortgage brokers and more than 20 MIC exhibitors in an effort to raise awareness about MICs and to share knowledge so both sides can work together more efficiently. The event will feature a trade show, networking lunch and three talks: Packaging your deals for a MIC; Knowing your MIC and how they can help your borrowers; and Navigating through difficult conversations with borrowers. Manager round tables will then allow MIC representatives to intimately explain their products and parameters for reviewing a deal. Ms. Soloway agrees and sees a continuation of the growth and evolution that this segment of the market has experienced in recent years. More information about the MIC Seminar and Trade Show is available here.